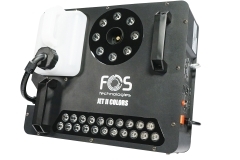 900 watt CO2 machine , Unique Design , 6X3W RGB 3 in 1 high quality LED, DMX Control 5 channel Wireless Controller 490*410*265 mm, 6.5kg. 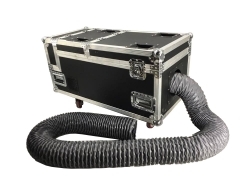 Amazing Low Fog 3000 watt smoke machine that needs only water supply, no need Co2 or Dry ice. 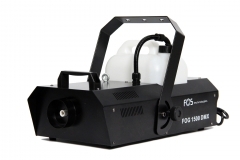 DMX 512 , Remote Control LCD screen.